even if there tends to be very little variance between each other, hitting up the local markets is always on my list of things to do when i'm visiting a new city. 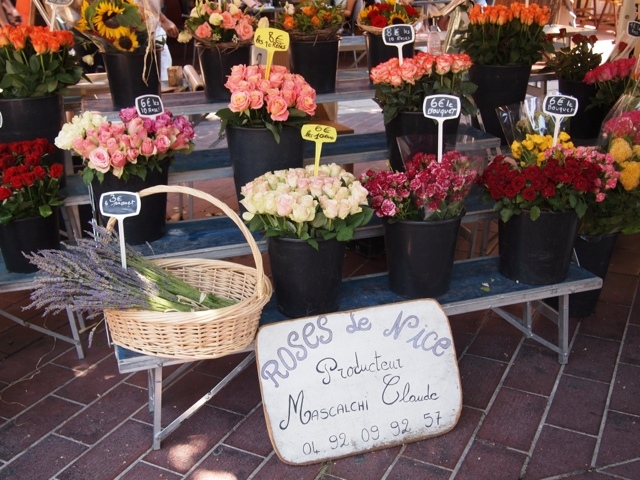 also, as i mentioned there isn't all that much to do in nice besides lie on the beach, and i was starting to look a bit freakishly tan (yes, there is such a thing), so i decided to take a day to check out the local flower and food market, also called cours saleya. the market is a mish mosh of different offerings. 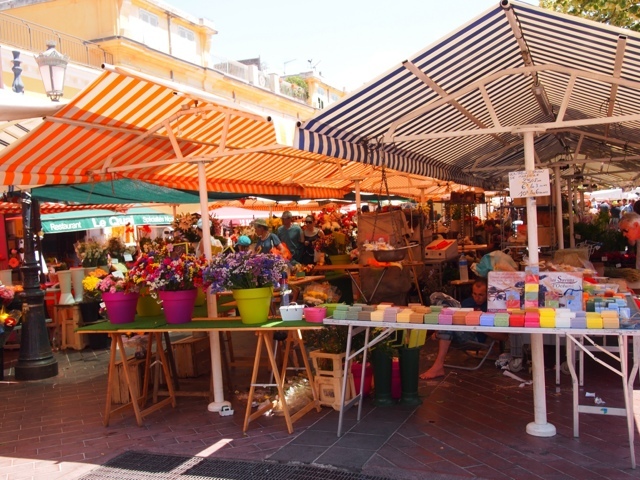 there are rows upon rows of flowers to purchase, handmade soaps, a section of different types of olives and olive oils, and then the produce sections. the produce sections were really what stood out to me, though not because there was anything new and different to see. it was all the usual gatherings of a typical farmers market - tomatoes, apples, grapes - except for one tiny difference. all the produce was ENORMOUS. i mean really enormous. like grapes the size of golf balls and tomatoes that were so big i'm pretty sure i could make salads for a week with just one. i'm not sure what they are putting in their fertilizer, but take note farmers of the world. they're doing something right in nice. 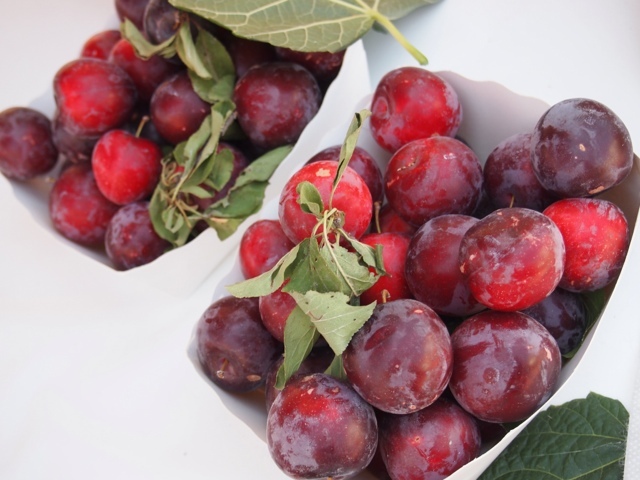 no, these are not plums. no, this is not a photoshop trick. these are grapes. one of the many flower stands. after i was done perusing the different stands in the market, i turned a corner to head back to town and ran into yet another market of a different variety. this was an accidental run in, so i honestly have no idea what the name of the market it, but it didn't seem as though it was intended to be a part of cours saleya. 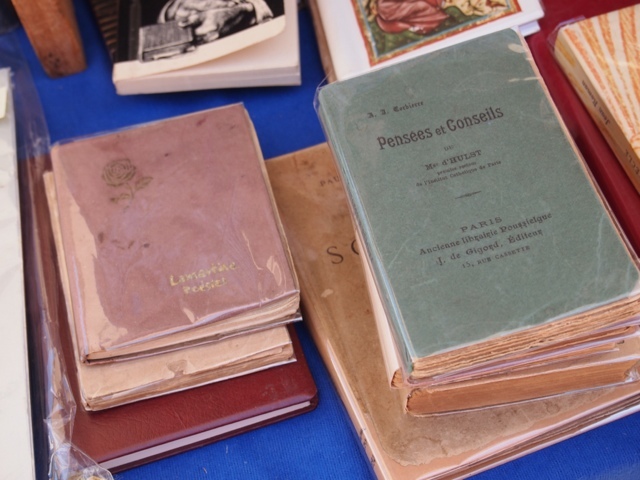 this market was a used and vintage book market. books of all sorts spanned the different tables, from used english michael crichton books to cutesy french children's books to a vintage copy of hemingway in french that i drooled over. until i checked the price (170 euro - do i have good taste or what?). i've got this new secret idea in my head (which i guess isn't so secret since i'm sharing it here) that once i settle down wherever that is, i'd like to have a bookshelf full of vintage copies of my favorite books. i've been trying really hard no to purchase souvenirs, as i didn't build this into my budget and have been convincing myself that the experiences are the souvenirs. it took almost everything out of me, and believe me if that hemingway had been reasonable it would have been mine, but i walked away empty handed. 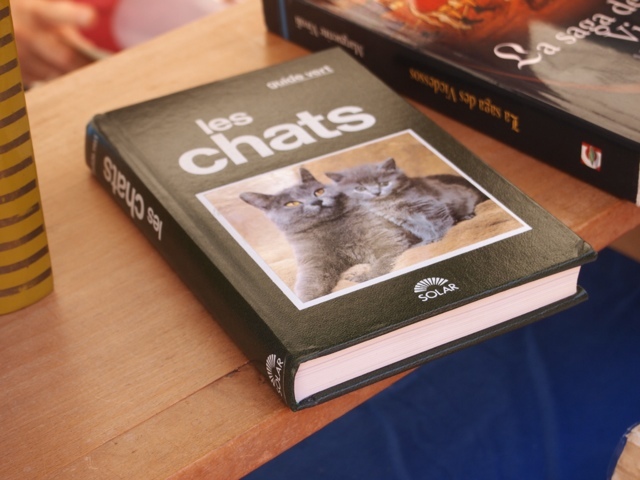 hopefully once i'm back, i can just search for "vintage french books" on ebay, and i'll use the old "it would make my backpack too heavy" excuse until then to cope with my loss. some of the lesser expensive books. it took a lot for me not to buy this one.